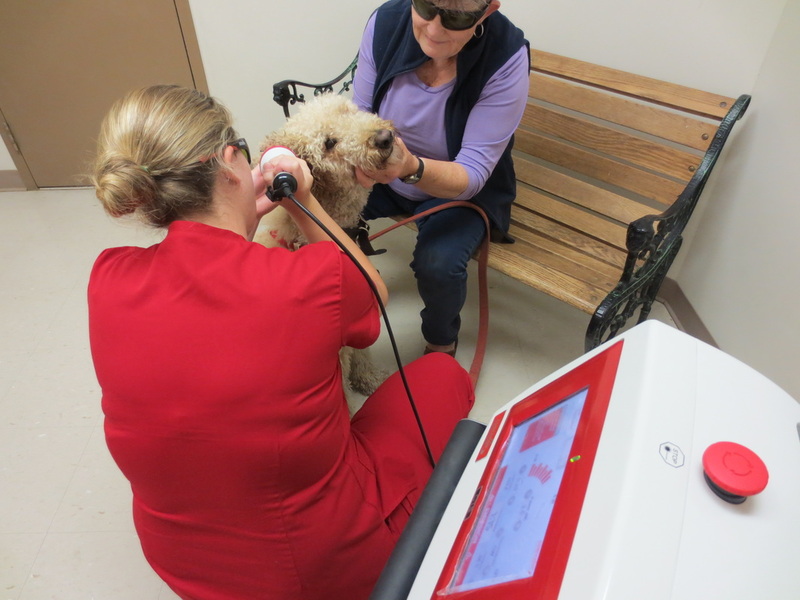 Help your pet heal with therapy laser. Drug Free. Surgery Free. Relief for your pet. 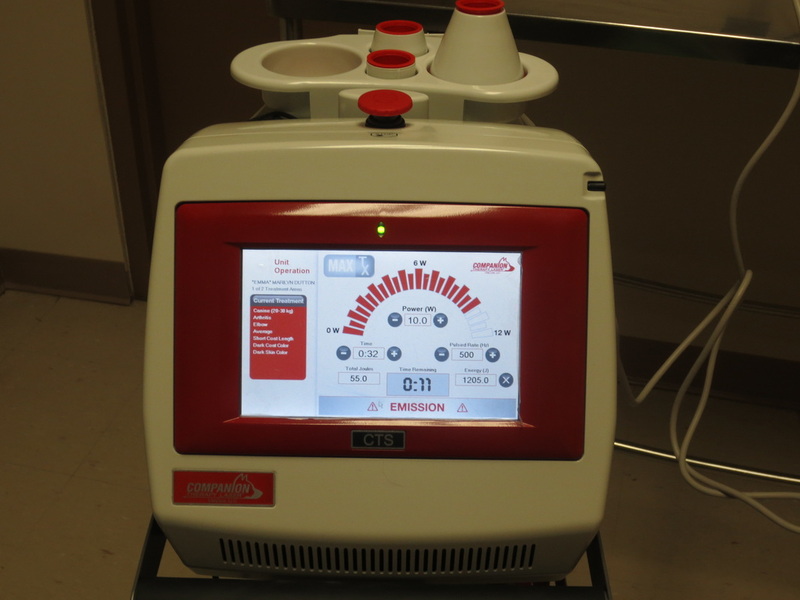 Therapy Lasers have been scientifically proven and successful in treating post-surgical pain and many acute and chronic conditions. 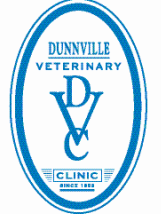 Your attending veterinarian will work with one of our technicians to create a treatment plan. This could be from daily, to 2-3 times per week, or even once a week. Expect each visit to be about 20 min. long. The fur does not need to be clipped and you will be asked to wear protective eye gear. We will track your pets improvement and revise the treatment plan as needed.